Campeones Junior in Estepona Launches Their First Ever Football Kit. | Marbella Marbella – Adelante! On Saturday the 11th October 2014 at the Instituto Mediteranneo in Estepona, Siesta Homes will present Campeones Junior with their first ever football kit. The event will start at 11.00am with an opening ceremony, after which the boys will get to show their football skills on the pitch. 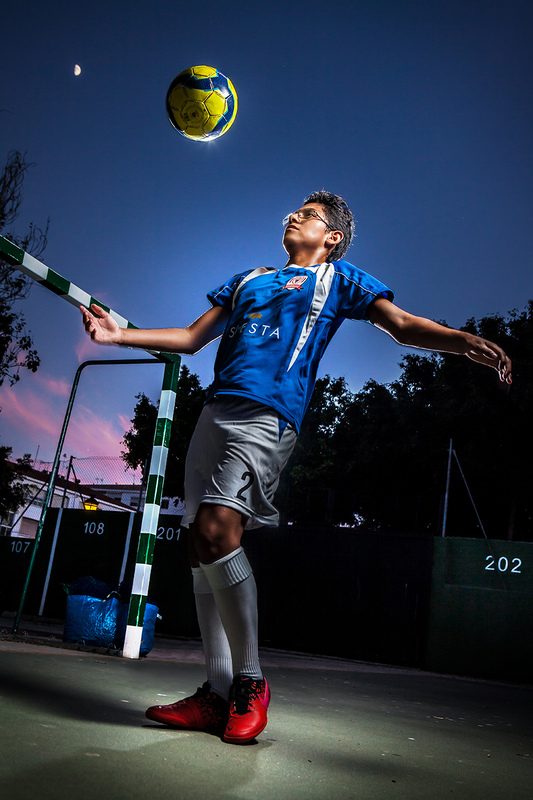 Campeones Junior was born from a father´s desire to see his child play in a football team. When he discovered that no one would take his child due to lack of skills, he decided to take matters into his own hands and hired a pitch, inviting children to play for free. Within minutes, children from all walks of life approached him to play, all of them with one thing in common; they had all been rejected from football teams for various reasons ranging from poverty to family problems. Many never thought they could ever be part of a football team. Pablo Reinoso realised that there was a genuine need for these children to be incorporated into a team sport and to be valued not just by their peers and the community, but more importantly valued by themselves. You and your family are invited to be part of the event, which will also include food and cakes kindly provided by members of the UNG Church, who give up their time to help the charity every weekend. For further information about Campeones Junior contact Eddie or Jess at Siesta Homes on + 34 952 828 443.